Endometriosis is incredibly painful but in this case the periods and the pain were being suppressed by drugs and had been for some time. There was nothing to start tapping with. 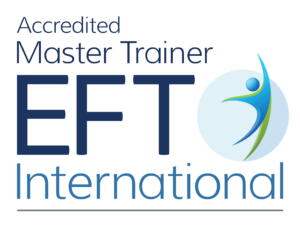 EFT Imagineering is a way of using tapping that I developed specifically to use when a physical condition has no pain and is not visible. When you can feel pain or see something you have somewhere to start tapping. What do you do though when the symptom has no pain, or doesn’t hurt right now, or the pain is suppressed by drugs? Where do you start? Well we can tap for the memory of the pain, for live events, shocks or stresses, that were happening when the symptom was first noticed or for our feelings about the symptom and that may open doors to healing. Imagineering is just another way to find those doors. We can think of the imagination as being an interpreter between bodyspeak and the verbal language of the mind. I was once hiking with my friend Nancy and as we were going up a steep hill with heavy backpacks Nancy’s knee was hurting. Rather glibly I said “I wonder what your knee is trying to tell you?”, sweating under her load Nancy snapped back “I don’t speak knee!” That was an AhHaa moment for me. Our thinking minds speak a different language from our bodies and can’t comprehend the body messages let alone take the action that the body needs. So the body shouts louder to get attention. And the mind blocks it out. Coming up to the stage, Marga initially experienced some nervousness and palpitations, 3-4 on the scale so we did a few rounds of standard EFT until she felt comfortable in front of the audience. Marga explained that she has endometriosis but that she has been taking the contraceptive pill to suppress the pain. Endometriosis is a very painful condition in which the lining of the uterus attaches to surrounding tissues. As she sat there she had no sense of the condition at all. A classic case for Imagineering. We do the test run so that both of us can know how her imagination works then I ask her to take the light and her imagination to where the symptom is. So now we do a round of tapping using EFT for the imagery she experienced: “Even though there is a heart surrounded by a black slimy mass and its really uncomfortable and hot, I truly and deeply accept myself” I take her exact words and put them into EFT. There is no discussion or interpretation of the imagery – that would be like interrogating the go-between. As the practitioner I do not introduce anything, I just keep the process going, letting her manage the content and we simply let the tapping do the work. After we tap, I ask her to take the light and her imagination inside again. Marga: “The red has now turned into more yellow-orange, it is not as scary and not as hot anymore.” Another round of tapping using those words. Marga: “When I enter my abdomen now the slimy things have become soft, pink pillows and cushions. The heart is still there. I enter the feathery cocoon and the sky is now a clear blue. I feel this cocoon will always be there for me if want to go rest or just want to be there. Then suddenly the cocoon opens like a flower; the walls move outward to the ground. And to the left I see a beautiful meadow with waving wheat and sunflowers. The sun is shining. To the right I can see the night. I feels like I can oversee the whole world and more than that. It is a place full of possibilities”. Marga is now smiling and full of wonderment. I ask her to close her eyes and enjoy the wheat field, the sun and the possibilities, reminding her that this place and these feelings are her very own experience and she can keep them and return to them. The next day Marga retained the feeling of being lighter and brighter. She is a medical doctor and felt positive about taking the decision to reduce the medication and thus test for any change in the symptoms. I have found that it is important in using this technique to let the thinking mind take a vacation whilst the imagination and the tapping do the work. So I don’t discuss or interpret the imagery whilst we are working and I simply use standard EFT on whatever the person says. The changes in the imagery provide the test that something is changing. There are five other articles which teach this technique in more detail and you can download those as an ebook.